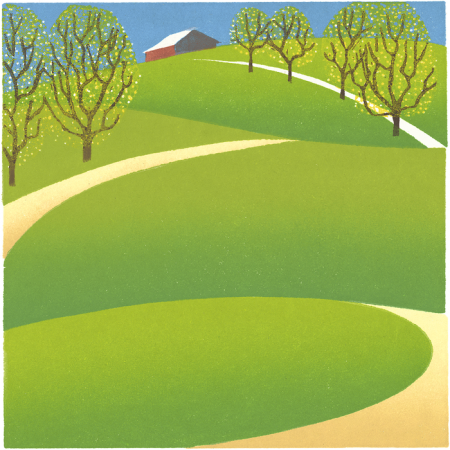 Here’s another homage to the great Iowa painter Grant Wood. His rolling fields express the energy of a well-tended land. Here, the tiny leaves of spring and the vivid new grass define May. Framed 15" x 15", Unframed 7" x 7"